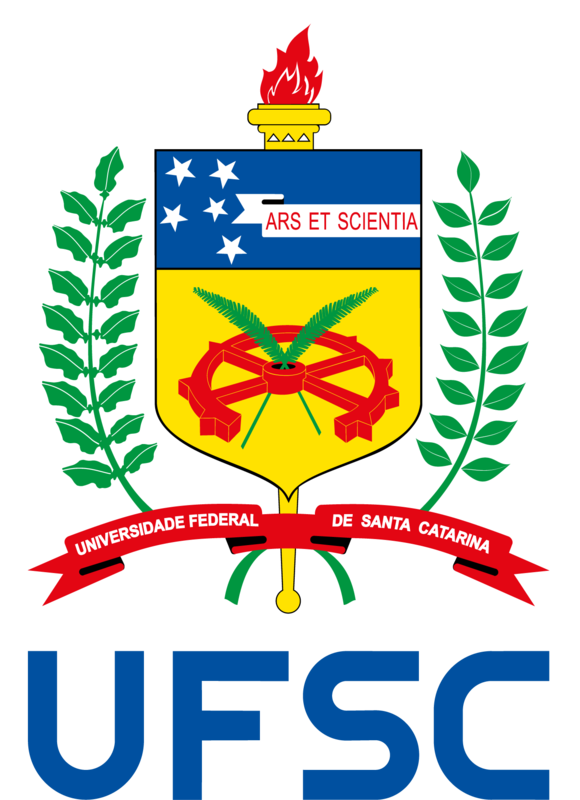 O Programa de Pós-Graduação em Oceanografia da UFSC (PPGOceano) irá promover uma palestra sobre mudanças climáticas, no dia 6 de dezembro, quinta-feira, às 10h, na Sala dos Conselhos, no prédio da Reitoria. 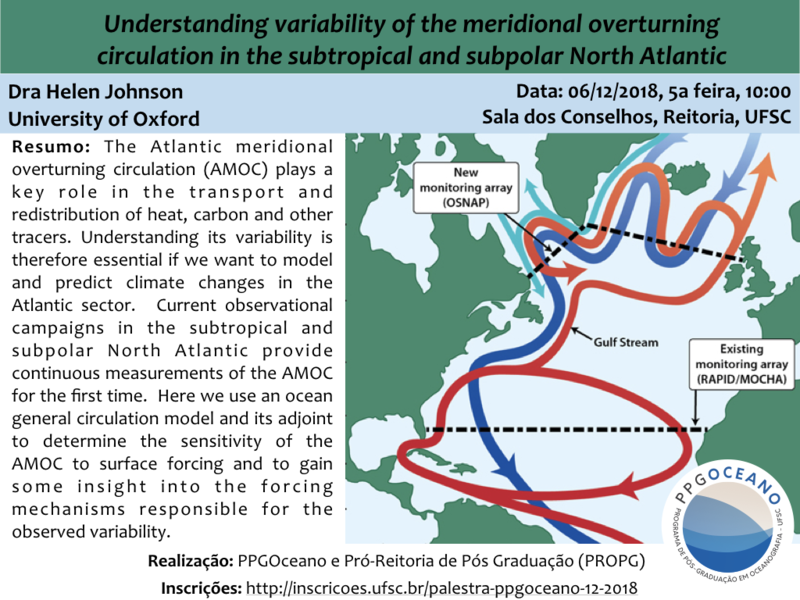 A palestra “Understanding variability of the meridional overturning circulation in the subtropical and subpolar North Atlantic” será ministrada pela professora Helen Johnson, da Universidade de Oxford. “The Atlantic meridional overturning circulation (AMOC) plays a key role in the transport and redistribution of heat, carbon and other tracers. 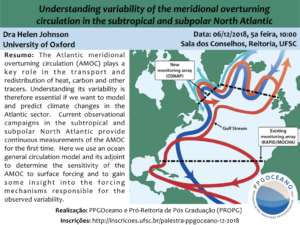 Understanding its variability is therefore essential if we want to model and predict climate changes in the Atlantic sector. Current observational campaigns in the subtropical and subpolar North Atlantic provide continuous measurements of the AMOC for the first time. Here we use an ocean general circulation model and its adjoint to determine the sensitivity of the AMOC to surface forcing and to gain some insight into the forcing mechanisms responsible for the observed variability”.